I don't know a comic artist who didn't think Toth was simply the greatest. He passed away yesterday "at his drawing board," according to his son Eric. Something nice about that, as opposed to winking out among tubes and machinery and a fog of pain and drugs in a hospital. A legendary curmudgeon, his work was so wonderfully designed, so expressive, that people tended to forgive his abundant crochets. Too bad such a great artist had to spend so many years in pain, and creatively frustrated, too. 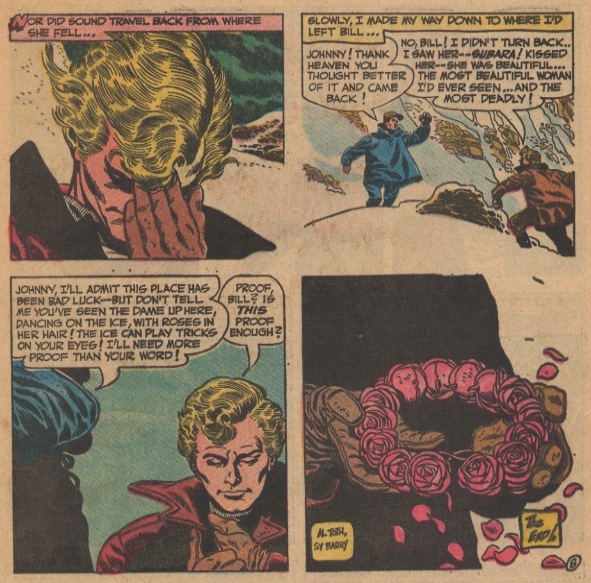 His last great flowering, in my eyes, was Bravo for Adventure...and that should've been 20 graphic novels, not one novel and a whimsical short story. It's a sad publishing history: the French publisher that commissioned it folded before it was published. Jim Warren published it in two parts, as I recall, as a backup in his magazine about a time-travelling adventurer, The Rook. Dragon Lady Press later republished it. But Alex couldn't have seen much money from these, and I imagine his enthusiasm had been vitiated by the setbacks. But judging from these forums, an outpouring of support during his recent hospitalization, and a realization that his work was loved and will live on that came in recent years, must have been a comfort. I hope so.